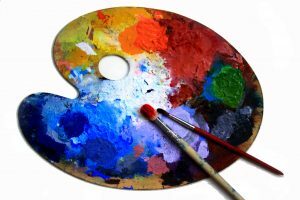 Art covers many different mediums including painting and sculpture and some of the most famous artists in the world have tried their hand at both. Michelangelo, for example, was responsible for a major work of religious art in the painting on the ceiling of the Sistine Chapel in Rome. He is also the sculptor responsible for the statue of David, considered to be one of the world’s most famous and priceless pieces of art. Degas took a similar approach to his work in the 19th century when the Impressionists took the art world by storm. He painted ballet dancers but also sculpted and created a small statue of a ballet dancer in bronze, that has been much copied since. Modern sculpture has turned the art form on its head thanks to the rise of modern artists such as Anthony Gormley and Damian Hirst with large scale statues like the Angel of the North near Newcastle, England, bringing the art form to the attention of the public again. Art is any form is beautiful, and movies can be exactly that. If you mix the movies with art you get some great biographical films regarding some of the worlds biggest artists. Must see films include, Frida, Girl with a Pearl Earring and My Left Foot. Art is all around us and should not be ignored. We can learn so much from the art world – and by attending events such as those at the Lincoln Cathedral Quarter, we can really broaden our horizons!